Our office will be closed from 12/24/2018 to 01/01/2019. 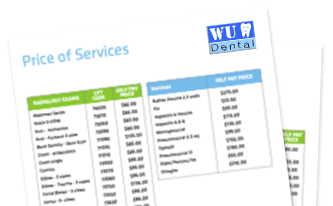 Wu Dental is a private dental practice owned by a local dentist Dr. H. John Wu. As a local office, we are dedicated to treating our neighbors as we would our own families. 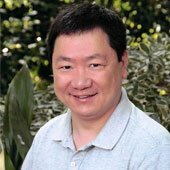 At our two dental offices in San Mateo and Mountain View, Dr. Wu an his team are proud to serve families who live in the suburbs to the south of San Francisco. Wu Dental oﬀers quality and personalized care right where you live! Comfortable clear aligners to straighten your teeth. Can’t breath during sleep? We may be able to help. Safe and eﬀective options to replace missing teeth. Same-day crowns, veneers and bridges with CEREC technology. At Wu Dental, our approach is very individualized and patient-oriented. We will work one-on-one with you to provide you with the best dental care possible. We will take the time to listen to your concerns and explain your treatment options. Together with you, we will create a customized treatment plan that fits your budget. "I chanced upon Dr. Wu staﬀ last year. The do great work, they are very nice people and they all do a fantastic job in dentistry, service, billing and kindness. Nothing they do could be better!" - Stephen G.
It is our mission to provide you with high-quality dental care that you can afford. We accept most insurances and provide a variety of payment options to meet your needs. In addition to new patient specials, we offer flexible and convenient financing with CareCredit. $99 for full mouth X-rays, full exam, and regular cleaning. Offer expires 12/31/2018.